Everything you need to know about the ICC Women T20 World Cup 2020. Renaming the previously known World T20 as the ICC Women’s T20 World Cup in a bid to revamp the tournament and cement its importance in international cricket along with ensuring parity across all three formats in women’s cricket, the ICC have announced that the showpiece tournament is all slated to get underway from February 21st in Australia. Reaffirming their commitment to ensuring that women’s cricket develops faster than ever and is reached out to as wide an audience as possible, the tournament will see a total of 10 sides compete in the two weeklong events with the final being held on the same day as the Internal Women’s Day, 8th March in a bid to celebrate womanhood in one of the most resounding and special of manners. To make the 2020 vent of the tournament even bigger and better than before, the ICC has selected the Melbourne Cricket Ground as the venue for the final. The largest stadium in the world, playing host to one of the most important games in women’s cricket promises for a record attendance, one that is sure to make the summit clash an extremely vociferous and boisterous affair. The semi-finals will be played on 5th March at the SCG. The 2018 instalment of the tournament had already witnessed several firsts. It was the first time that DRS was used in the world cup and also the first time ever that all matches from the group stages to the final were telecasted live across the world. In accordance with last year, the International Cricket Council moves onto 2020 with only one aim, to elevate the women’s game at the international game and take it to new successes. The women’s category sees 8 teams already confirmed for the tournament based on the finishing positions from the World T20 in the West Indies with the remaining two places to be determined through a qualifying tournament to be held in 2019. The group stages see the 10 participating countries divided into 2 groups of 5 with India finding their place in Group A along with New Zealand, Sri Lanka, Australia and a qualifying country. India women were unable to progress from the first knockout-out stage in the 2018 edition of the game, had their best-ever campaign at the tournament in 2018 when they made it as far as the semi-finals before finally floundering just one step away from the summit clash. 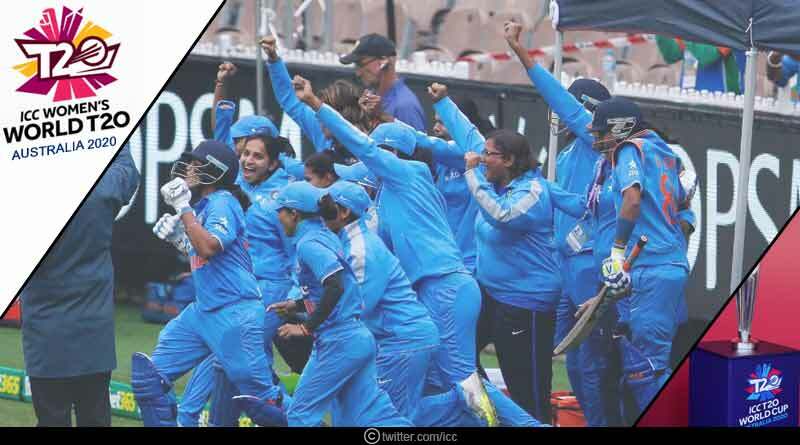 Having never won this tournament till date, the women side which is considered one of the most meticulous and well-rounded units in international cricket, will get their attempt of winning a first T20 World Cup underway against Australia at the Spotless Stadium in Sydney on February 21, 2020 following a spectacular opening ceremony at the same venue a day earlier. That game will be followed by a second group game against a qualifier on February 26 at the WACA, Perth against New Zealand on February 27 and Sri Lanka on February 29 at Junction Oval, Melbourne. Star Sports is the official broadcaster of the women’s world cup in India and will be bringing to the country all the matches on its channels, Star Sports 1,2, Hindi/HD in both English and Hindi commentary. For more articles like ICC women T20 world cup 2020, do Subscribe to our newsletter and follow us on Facebook, Twitter and Google+. ← Uttarakhand News – Uttarakhand samachar – सीएम ने जॉर्ज फर्नांडिस के निधन पर शोक जताया ← Tentaran- What is Lok Sabha?